No holiday cheese plate would be complete without a deliciously smooth goat cheese and we’ve got one you have to try this season. The goat cheese made by our friends at LaClare Family Creamery in Malone, Wisconsin, is a family operation. 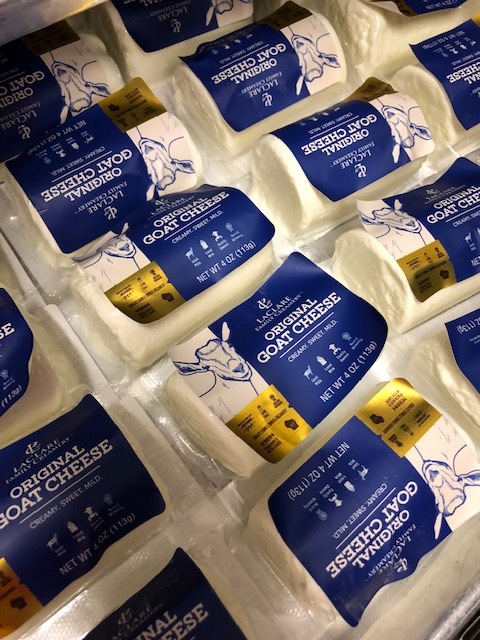 We got a chance to visit this incredible goat farm earlier this year to see how they make their award-winning cheeses, which you’ll find in the gourmet cheese selection in the Deli at many of our stores. LaClare’s Evalon Reserve and cave aged Chandoka Reserve farmstead cheeses has won the U. S. Cheese Championship. These are carefully aged and exquisitely flavored Artisan cheeses you’ve got to try this holiday season. And since we’re talking about cheese, we thought it’d be a good time to tell you about some super fun cheese and beer pairings.